The Juniper Trees is the new musical project of Jenna Herbst and former members of Sarina Simoom, a Denver based band. The Juniper Trees birthed from the decision to be re-inspired and re-invigorated by music and also to heal from the trauma of having a band name that no one, nor their mother, could pronounce or spell correctly. And dammit, spelling is important. Yes, it’s true. 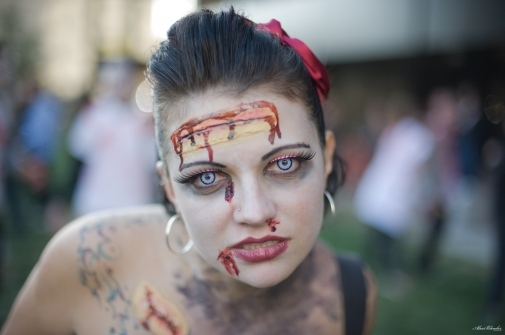 The Juniper Trees will be turning zombie on October 22nd when we brave the massive Denver Zombie Crawl. We will be playing outside on the 16th Street Mall at 4:00PM, unless the weather is too cold for the undead, in which case we will move inside Chris’ apartment. 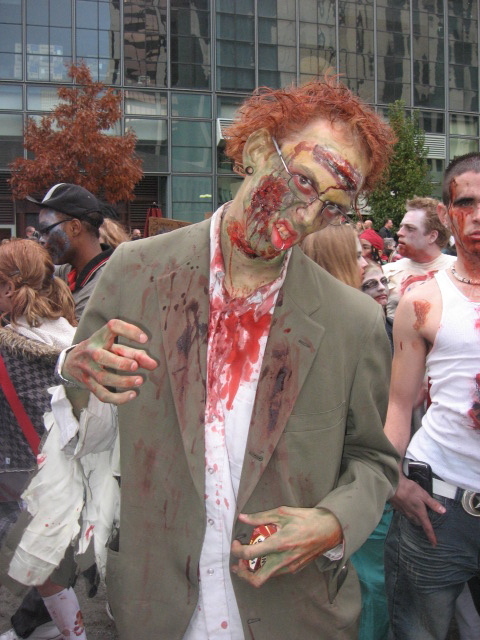 Some pictures of Denver zombies of old. The Juniper Trees will be playing at the Hidive on Oct. 7th, opening for the Raven and the Writing Desk and Andy Monley Band‘s cd release party. We go on at 8:30pm! We had such a great time last night opening for the Burlesque show and participating in such a fun fundraiser for Planned Parenthood! The Juniper Trees combine the twangy soul of rock with the modern folk sensibility. With banjo, classical and steel string guitar, harmonizing vocals, an occasional fiddle thrown in, upright bass, and eclectic drum styles, The Juniper Trees are a mix of rich melody, and non-traditional song structure and meter. Jenna’s solo recordings are a soulful rendition of the songs; sparse, rhythmic and melodic, she is sometimes soaring, and sometimes driving. Check out her solo recordings on the Music page. Jenna’s solo album, entitled “From My Living Room,” being recorded, guess where? You got it: In her living room, is due out in September. The Juniper Trees are currently working on their first album as a band, and are still offering for sale all three albums by Sarina Simoom.